Think February is a dead time in Crete? Think again! 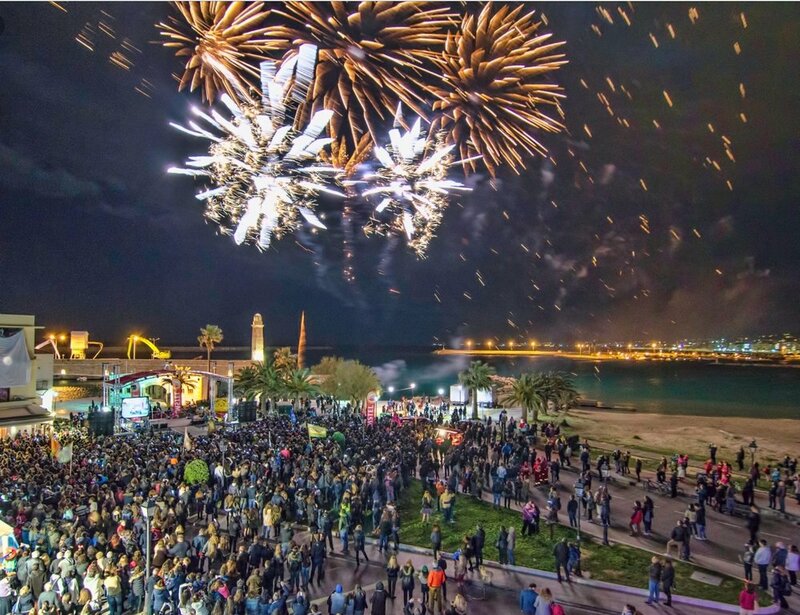 The biggest celebration of the year in Greece is Easter. Lent, the 40 days and nights leading up to Easter sees a time of fasting and abstinence, there are no weddings, parties or celebrations. So just before Lent we have 3 weeks of fun, known as Apokries. Better known as Carnival, many celebrations and festivities take place, local businesses join in with decorations, live music and fancy dress parties. All over Crete the villages put on street processions but the biggest is the Rethymnon Carnival. Themed decorated floats, a huge street party, everyone in costumes. Organised for over 100 years, 20,000 participants and 100,000 visitors are expected this year. The first feast of Apokries is named ‘Protofoni’ or 'Announcement’. During this week readings from the Triodeon (book of the Three Holy Sacraments) are made daily in churches and on the Sunday the feast of Protofoni announces the beginning of Carnival. The second feast of Apokries is named Kreatini and is known as ‘Meat Week’. This is traditionally the last opportunity to eat meat before Lent. The Thursday of this week is named Tsikno Pempti or Burnt Thursday where feasting on grilled meats are the order of the day. Many parties, including fancy dress parties or the wearing of masks are held in bars or clubs commence during this week. The third feast of Apokries is called Tirini and is known as ‘Cheese Week’. Cheese, eggs and dairy products are enjoyed heartedly during this week as meat is not allowed. 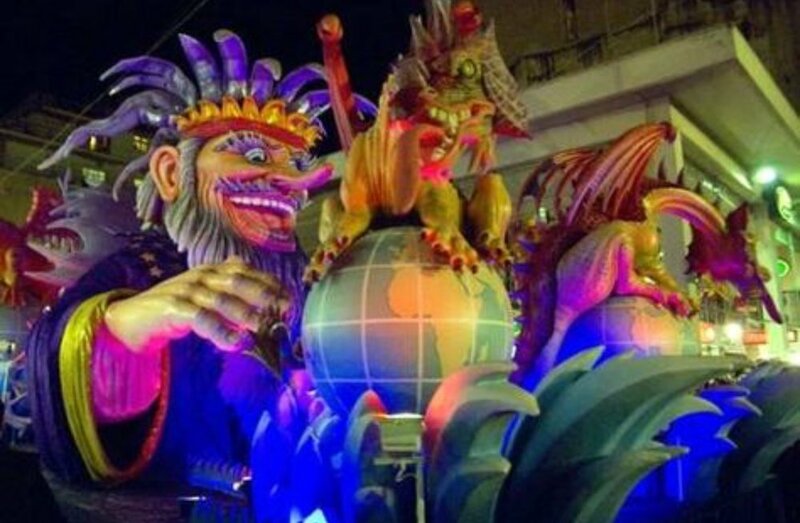 This is the last day of Apokries when the grand parades take place. Colourful floats parade throughout the main streets to the crowds of enthusiastic and usually fancy dress wearing spectators. Street Food stalls and balloon sellers mingle with spectators while music is played loudly for a truly carnival atmosphere, parties with much eating and drinking go on throughout the night. 'Kathara Deftera' or Clean Monday, which falls on the 2nd of March in 2009, marks the end of Apokries and the beginning of Lent. Fasting begins on this day where traditionally no meat, fish, eggs, dairy products, olive oil or wine are allowed to be consumed for the 40 days leading up to Easter. Clean Monday is a Bank Holiday in Greece and heralds the beginning of spring. Many families enjoy this day by taking Lenten picnics to the mountains or the beach. The foods consumed on this day contain ‘no blood’. Instead salads, fresh and pickled vegetables, shellfish, octopus, squid and bread are enjoyed. A delicious sweet of Halva is also consumed. It is traditional to fly kites on this day. So if Rio is a bit to far, pop over to party in Crete the Greek way! Thinking of getting married next year, panicking about timescales? The beauty of having your ceremony here with us is the no stress, laid back organisation!! Just pick the date, let us find you the perfect venue, we book your suppliers, you book rooms and flights. Done. Relax over Christmas and 2 months before the date we finalise the details. When you arrive everything will be ready for you, all you need to do is enjoy the beautiful scenery and let us take care of everything. Donkey: thanks to Mamma Mia, a very romantic idea, but a small donkey tale. We requested some donkeys from our local sanctuary for children's rides at our annual Winter Fayre. The donkeys set off for the easy 1 hour journey in good time. 3 hours later we were told the donkeys had reached Kalives and refused to walk any more. The phrase 'stubborn as a mule' was never more apt!!! 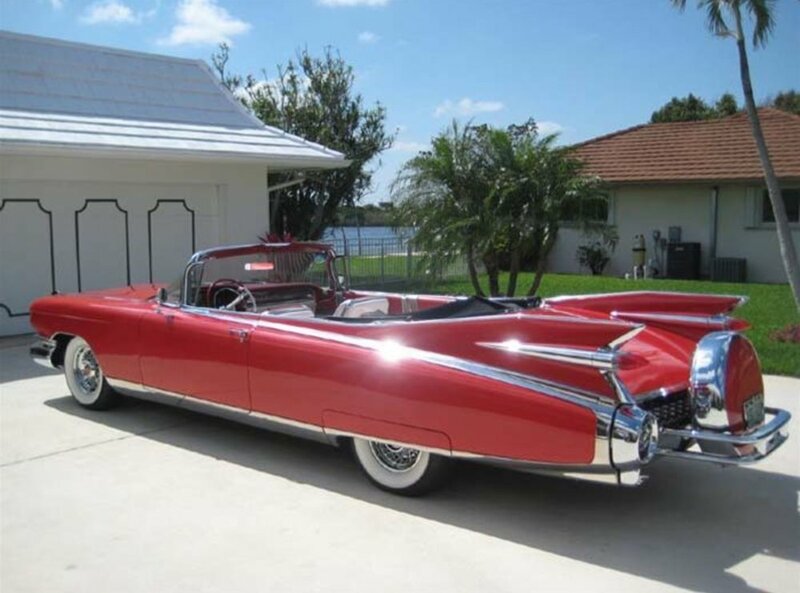 Vintage car- make an entrance in a classic Cadillac Elderado cabrio 1961 or Rolls Royce Silver Shadow 1972. Mini train- up to 100 people this is a really fun way to transport guests. Boat- why not arrive Bond style on a speed boat? For a more extreme style why not Stand Up Paddle board or canoe across the Bay? Horse and carraige- an open carriage decorated with flowers through the village to the venue. Cinderella eat your heart out! Scooters- especially after the blessing (to avoid a totally helmet head look) the bride and groom on a motorcycle, the guests in convoy on scooters! Coach, taxis- of course for large parties and longer distances a modern private air condioned coach or taxi is the most comfortable way to travel. Summer in Crete is like a fully charged Duracell bunny! July and August hosts a string of diverse cultural events, from art and theatre to panigiris- festivals arranged competitively village by village, usually consisting of live musicians from all over Greece, lots of BBQ food, local wine and beer and dancing into the small hours. A wander around Chania last night we stumbled upon an open air opera in the ancient ruins, a naval band playing in the harbour, and a Greek rock concert in a bar! Check out Crete events for latest. Locally we have Jazz in July, live bands including my favourite Small Change for 80's music, the local orchestra Vamos Ensemble on the beach and Classical Greek music in Ancient Aptera to celebrate the partial lunar eclipse. I came home to a full on Rock Festival at the end of my road!! As my London friend remarked in surprise - who knew so much happened in a small Greek village!! As well as weddings, anniversaries and special occasions we are pleased to donate our services to organise many charity events, we believe in giving back to this wonderful place we call home. With so many things to do on this island, the beauty of our Apokoronas region is everything is within easy reach. You've had your special day or wedding, you have guests with you, what to do with them? What does a wedding planner's wedding look like? Our weddings totally reflected our personalities, and we believe this is the secret of a successful wedding! Claudia is boho, laid back, no fuss and natural. Venue: 18 years ago, a summer wedding in August, in the townhall registry office set in a fortress in a small German town. A tractor towing a wagon transported the whole wedding party firstly to her parents house for traditional champagne and soup, then later to a barn for the party. Food: With a buffet with cake and coffee dessert, friends and family contributed with readings, speeches and small 'skits' for entertainment, some Greek dancers to honour her Greek husband, then ending with dancing to her brothers rock band until the sun came up and guests collapsed on hay bales. Style: wild flowers, tractors and very relaxed. Dress: simple white boho dress, flip flops, wildflower bouquet, no bridesmaids, no hair or make up! Flowers- to have or have not! Rosemary was used for weddings by Ancient Greek brides in their bridal crowns. Today rosemary can dress a boutonniere, a place setting, be given as a guest favor or add texture to a floral arrangement. Marjoram is the Greek symbol of joy and happiness. Marjoram also represents goodwill as the couple starts their new life. Marjoram was also used by Ancient Greek brides in their bridal crowns. This herb can add subtle interest to many flower combinations and most wouldn’t even know what it is. Lavender is the herb of devotion. Lavender is used in wedding bouquets for symbol of devotion as well as the signature aroma of the herb. Lavender has a soothing fragrance that can help calm the bride’s nerves. Lavender is probably the most popular herb of today and has been used in countless weddings in many different ways. Thyme is the symbol of strength and courage. For courage brides tuck thyme into their bouquet and tie it with white ribbon. Thyme was also tucked into knights armor before battle to give them strength and courage. Sage is the herb of long life, good health, and domestic sweetness. If sage and garlic are both carried by a bride it was believed to give her great wisdom as well as goodness. For the modern day, sage is a nice addition to centerpieces, depending on the variety, like prairie sage, there is a beautiful blue-green shade to use. Dill is the herb of lust. It was believed that a bride would only lust for her husband if she carried dill in her bouquet. Besides its meaning, dill can add a soft texture to your bouquet too. Simple flowers can add the finishing touch. Living by the sea in a small area we are lucky to know many people and places in Almyrida and Kalives to put together unique packages for you. Want a pre- wedding party with a twist? A special occasion gift? 10 things to do in Chania on a rainy day! Our summer starts generally mid April ending in October, you can get better flight and accommodation prices during these months. Our spring here is beautiful with wild flower meadows, lambs, snow capped mountains and cooler evenings. Hiking is popular at this time of year. Easter is our biggest celebration of the year. July and August are the hottest, busiest times here and if possible, best avoided. 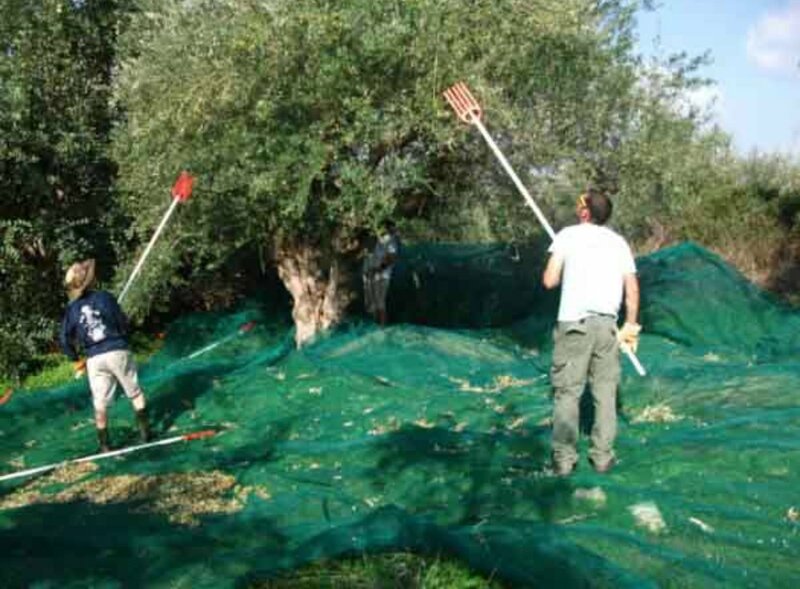 Autumn has warm seas, more comfortable temperatures and a more relaxed feel, November and December can have lovely sunny days, why not try olive picking! January and February our rainiest months when we tend to go into hibernation! The largest of the Greek islands we have 2 international airports. Direct flights start in April or around Easter until October. Our closest airport is Chania, 40 minutes drive away. A taxi transfer to Almyrida is approximately €50, for larger groups you can hire 20 or 50 seater coaches. Heraklion is a 2 hour drive. There is a public bus with one change, into Kalives, but you are better to hire a car. Book your date: consider school holidays, peak season flight and accommodation costs and of course weather. If you have a particular venue in mind it is better to book well in advance. Invite your guests: with large groups the earlier the better to find accommodation close together and get early booking discounts.